This year we are walking in honor of one of our team members that has worked hard with medical care professionals to win his fight against Cancer. It is our honor to walk with Chris in our hearts and on our minds, as we look forward to seeing him with his health 100% restored. He as well as the research, medical professionals and science that heal are the miracles we will celebrate and support every step of the way as we walk with the UMass Medicine Cancer Center of Excellence. 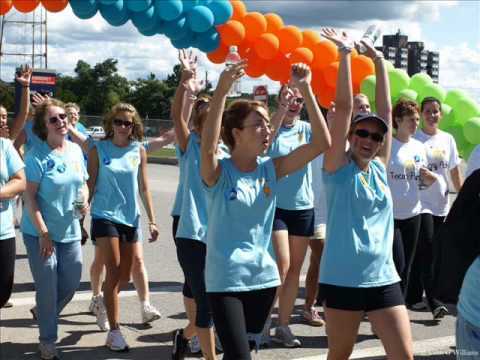 Please join us on Sunday, September 25, 2011 for the 13th Annual UMass Medicine Cancer Walk. The five-mile walkathon raises funds to benefit cancer research, care, equipment, facilities and world-renowned medical professionals at the UMass Medicine Cancer Center of Excellence in Worcester, MA. Now in its 13th year, over 60,000 walkers have participated in the event and have raised over $6 million. Please make a donation or walk in honor of those who have been impacted by this disease and help support the research that will prevent others from being affected. We can make a difference…together!